As group leader at the Max Planck’s Department of Archaeology’s new stable isotope research group, Patrick is committed to applying stable isotope methods within multidisciplinary research programmes that are focused on human palaeoclimates, palaeoenvironments, palaeodiets and palaeomobility. His doctorate in Archaeological Science from the University of Oxford focused on using stable isotope analysis of human and faunal fossil remains to elucidate Late Pleistocene human rainforest adaptations in Sri Lanka, and the relationship of this data to wider debates regarding the viability of rainforest habitats for long-term foraging by our species. This thesis forms part of a wider interest in human adaptations to rainforest environments. He has taken part in UNESCO symposia that bring together archaeologists and anthropologists together to discuss potential solutions for the conservation of ecological and cultural heritage in global tropical forest environments. 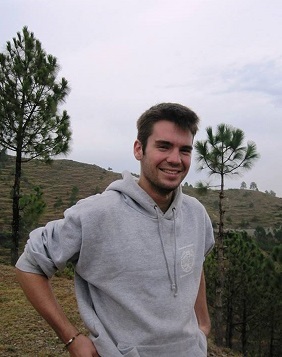 Patrick’s research and publications use stable isotope analysis in a variety of archaeological research contexts: from reconstructing palaeoenvironmental conditions in East and South Africa, South Asia, and Saudi Arabia associated with human habitation of these regions during the Pleistocene to dietary complexities in 18th and 19th century historical populations. His other interests include early human cognition, hominin dispersals, megafaunal extinctions, and the relationship between climate change and cultural change in our species.